Includes USB access settings, Log settings, Start – up settings, privacy settings. Adjust Email settings, FTP settings, Camera settings and Import & Export settings. USB security software provides an option to capture photo during connection and removal of USB devices. 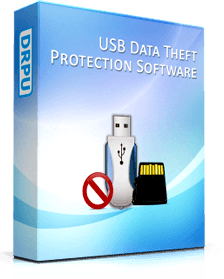 USB data theft prevention tool facilitates users to export current settings and import saved settings later. Password protected USB plug-in plug-out activity monitoring software helps to restrict unauthorized access of software. 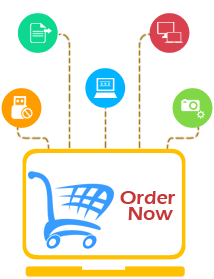 Software provides option to view as well as export log file in HTML or Text file format. Utility also keeps backup of log. √ Monitors plug-in & plug-out activities: Software tracks connection/removal activities of USB devices and send log on specified email or upload it on FTP server as per your settings. 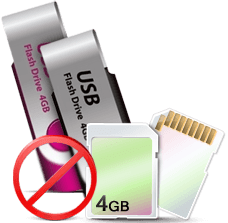 √ Block or restrict USB port access: USB drive anti theft software provides option to give full permission, restrict access (read only) or block USB port access. √ Runs completely in stealth mode: Password protected USB Data Security Software provides privacy options to run your software completely in hidden mode. Software monitors connection and removal activities of USB devices, block or restrict USB port access, maintain log and send it to specified email id or upload it on FTP server as per your prior settings.